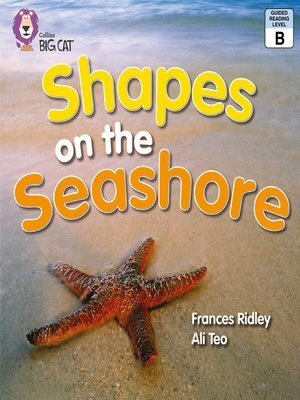 A boy and his mother go for a walk along the seashore and find all sorts of shapes. Thereâ? ?s a starfish shaped like a star, a pebble thatâ? ?s an oval and a jellyfish thatâ? ?s a circle. A combination of fascinating photos and delightful artwork show the variety of shapes that can be found. â?¢ Red A/Band 2A books offer predictable text with familiar objects and actions, combined with simple story development. â?¢ Text type - A simple recount. â?¢ The shapes are repeated on pages 14 and 15 for children to recall and discuss.